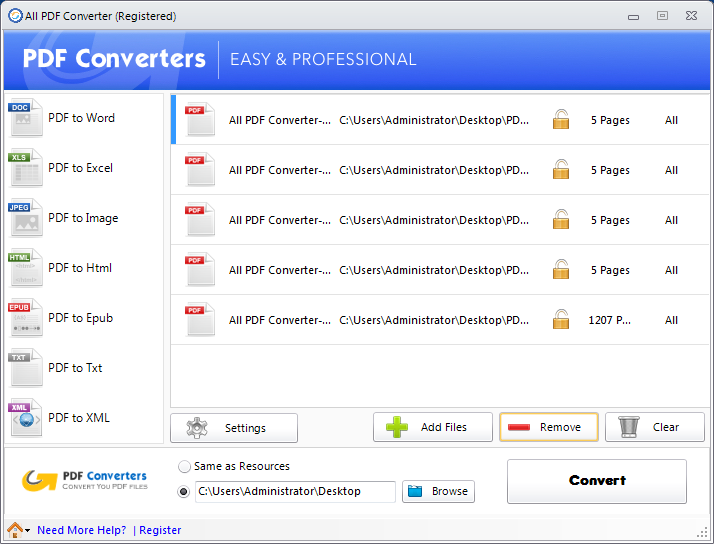 Convert your PDF files into multiple output formats. 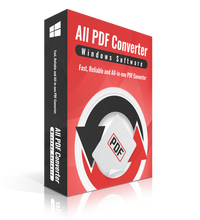 All PDF Converter 2.4.2 was available as a giveaway on June 16, 2017! 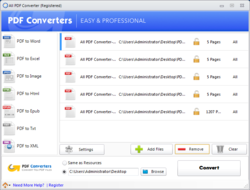 How would you improve All PDF Converter 2.4.2? When working on a project as a team, putting together each and every contribution is perhaps the most demanding task since it requires a lot of attention to details especially as far as the transition between each section is concerned. 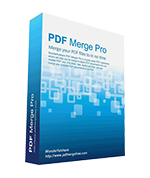 Fortunately, there are utilities that can help you when dealing with such a task, and an example in this regard is PDF Merge, a program designed to combine two or more PDF files. Always some people need only some pages in one PDF document for some reasons. 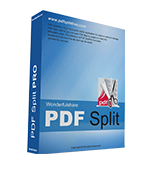 That means if you are simply looking for an application that is capable of splitting PDF files, PDF Split Pro can help you make it easy to split one PDF file into multiple individual pages and see what's what. 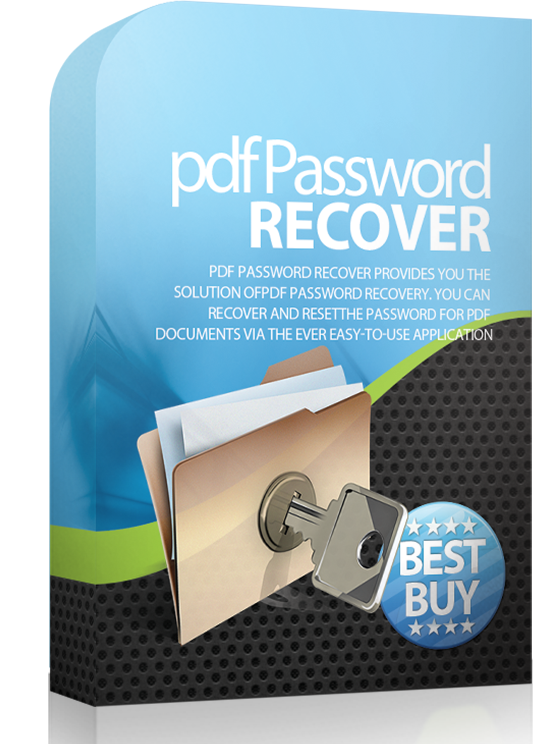 I just installed successfully and managed to convert a 55 page pdf book to words docs. Couldn't figure out where the converted output goes but a quick check at their help page solved the problem. Developer may need to improve this. Perhaps should include 'save output to' above the 2 options. 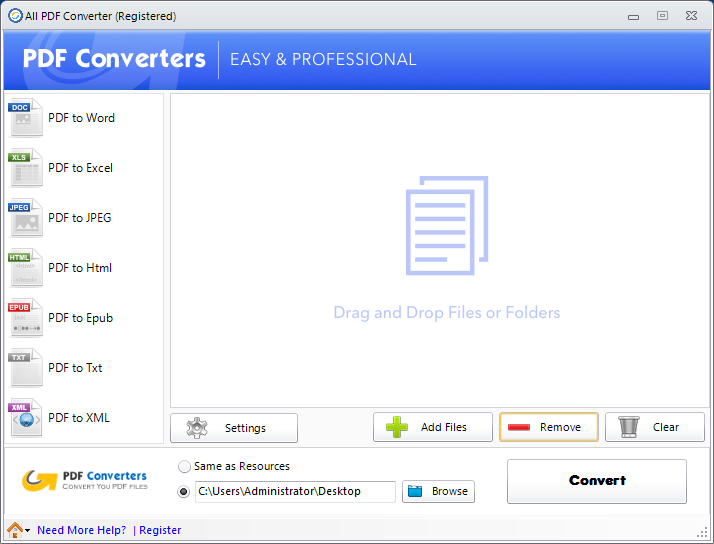 You can also https://www.freefileconvert.com/pdf-converter an online free file converter to convert your PDF files into 100 different formats. There is no need to register an account to sign up and no need to download any software. Program at first looks fine at first and runs well, turns out to be bad. Real bad. None of the conversions really work. When converting a PDF document to a Word document, the file created looks decent, but 99% of the word/letter spacing is removed, why? Document is set to Russian encoding, causing Word to complain about missing content. Other formats are just as bad, causing programs to complain about the format not being correct and asking if I really want to open it. Obviously the author didn't do something right nor do proper testing. Exiting the program throws an error message, asking if you want to quit. Seriously, it is an error to want to exit it? This is _at most_, alpha level software, and is absolutely not worth even 1 cent, let alone $29.95. It simply does not do what the author says it can do. Program at first looks fine at first and runs well, turns out to be bad. Real bad. None of the conversions really work. When converting a PDF document to a Word document, the file created looks decent, but 99% of the word/letter spacing is removed, why? Document is set to Russian encoding, causing Word to complain about missing content. Other formats are just as bad, causing programs to complain about the format not being correct and asking if I really want to open it. Obviously the author didn't do something right nor do proper testing. Exiting the program throws an error message, asking if you want to quit. Seriously, it is an error to want to exit it? This is _at most_, alpha level software, and is absolutely not worth even 1 cent, let alone $29.95. It simply does not do what the author says it can do. I have just installed the app. It works OK. It's a keeper. It seems to have a good potential to grow. Hello, I have just installed the app. It works OK. It's a keeper. It seems to have a good potential to grow. I am not able to register? I have the code but there is no space for the email to add it, please help me. Hello I am not able to register? I have the code but there is no space for the email to add it, please help me. pedro from Illinois. I tested this program on XP sp3 and it installed and activated smoothly. I then tried it on a Wikipedia article exported to a pdf with pictures and text in two columns. Firstly I tried the PDF to Image option, set to extract all the images from the file. I couldn't find any output at all. I then tried the PDF to Word option, and a Word document duly emerged, the file size being about a third that of the original. The pictures were placed correctly, but sad to say the text was pretty messy. It was rendered in text boxes a few lines deep which cut across the columns and some overlapping of text resulted. Most of the spaces between words had disappeared, leaving long strings of letters. A conversion to plain text produced similar results, with combined columns and no spaces between words. Copying and pasting the pdf's contents into a new Word document was much better, at least in this case! Software installs, but crashes when trying to REGISTER it despite using the correct registration eMail & License code as found in the Readme file. The crash issues the following error "The type initializer for 'ᜂ' threw an exception." This occurred on my Windows 7 64-bit machine. So, I then tried installing it on my Windows XP 32-bit machine, but the result was the same. Therefore, I uninstalled today's giveaway from both of my machines. Software installs, but crashes when trying to REGISTER it despite using the correct registration eMail & License code as found in the Readme file. The crash issues the following error "The type initializer for 'ᜂ' threw an exception." This occurred on my Windows 7 64-bit machine. So, I then tried installing it on my Windows XP 32-bit machine, but the result was the same. Therefore, I uninstalled today's giveaway from both of my machines. Ummm, dumb question perhaps, but HOW do I register/activate this?? I expected a window at the end of installation asking me to do so, but did not get one. If I run the executable, it comes up ok & allows me to select a PDF file, but if I select Convert it merely gives me a window telling me the benefits of "registering", but not telling me how to go about doing so, nor any information on how to "activate". It does not do anything beyond that. Does it matter that I do not have Word installed? I only use Open Office, but figured if it made a .docx file for me I could use OpenOffice to use it?? Duh - I did finally find the "register" option (it was hiding under my task bar & while fullscreen option did not work on AllPDF panel, when I eventually moved the screen up, I could see the field & register). However, anything I convert to docx format comes up blank under OpenOffice, or (in one case) with just the last line of the file appearing. Trying to change to doc format under settings does not appear to work (keeps defaulting to docx). Oh well, guess this does not work in my environment. Thanks anyhow. lurkercat, Please use the Email and the key indicated in the Readme file. I had difficulty to install the software. I had to cancell the process and do it again (on both of my computers!). Than finaly it installed but it took so much time. So different from other GOTD software and my experience. The programm is just showing a little screen (a mini screen) I can not make a full screen of it. Why is that?! :) I do not like that and I do not see that purpose. Three strikes and yer out! Installed without problem but three attempts to convert PDF docs produced garbled text with many overwrites that made the conversions unusable. I, for one, am very pleasantly surprised by this product. I'm not the sharpest knife in the drawer at jumping in and learning a new application. This one is a breeze. It installed in moments since I had seen the advice on using the GAOTD email. My first impression upon opening the program was, "Oh, pretty! so simple!" I grabbed a PDF of a court form with lots of boxes and a few other formatting challenges, tapped the PDF to Word button and ran the conversion. It was over in a flash. I'd seen the comment about finding the output, but then glanced at the buttons for "same as resources/desktop" and found it immediately. The interface is so clean that there's no way to get confused. The output, while not absolutely perfect, was quite acceptable. This will save me a lot of time in the future. Bravo, and thank you! I, for one, am very pleasantly surprised by this product. I'm not the sharpest knife in the drawer at jumping in and learning a new application. This one is a breeze. It installed in moments since I had seen the advice on using the GAOTD email. My first impression upon opening the program was, "Oh, pretty! so simple!" I grabbed a PDF of a court form with lots of boxes and a few other formatting challenges, tapped the PDF to Word button and ran the conversion. It was over in a flash. I'd seen the comment about finding the output, but then glanced at the buttons for "same as resources/desktop" and found it immediately. The interface is so clean that there's no way to get confused. The output, while not absolutely perfect, was quite acceptable. This will save me a lot of time in the future. Bravo, and thank you! PS, I'm also very impressed that the developers have been so attentive to us here. This is a company I want to do business with. Vicki, Hi, thanks dear. We do hope our product can help you and we will try our best to make it better! Installed easily on a Win10 64-bit machine. I ran 6 English PDFs of different types (including contracts, eBooks, and tables in portrait and landscape) through it and converted them to Word. They all came out nicely -- formatting was preserved and the text was readable and editable. It's a keeper. To register this product you have to use the "giveaway@giveawayoftheday.com" email rather than your own email. Tried converting a smaller PDF newsletter. Roughly 70% left blank. The 30% which did convert (to .doc) were tables which looked perfect. However, they are images and cannot, therefore, be edited in Word or other wp's. This will work for many but w/o OCR, scanning to an editable doc seems impossible. Setup flawless. Tried converting a smaller PDF newsletter. Roughly 70% left blank. The 30% which did convert (to .doc) were tables which looked perfect. However, they are images and cannot, therefore, be edited in Word or other wp's. This will work for many but w/o OCR, scanning to an editable doc seems impossible. Does it work with Hebrew files? 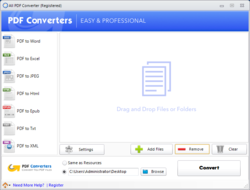 The converter downloaded and installed perfectly. I tried converting a short PDF to Word. A .docx file was produced. The converted document looked as it should when using Word Viewer. However, the document was unreadable when using LibreOffice 5.3. 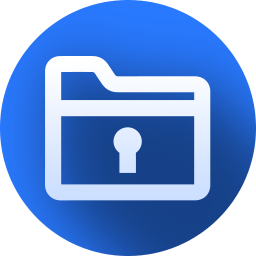 Could the publisher make the converted documents compatable with LibreOffice? Very simple install and registration. I tried converting pdf to html and image and it worked great. OK. so I installed and registered just fine. Tried out a couple of PDF conversions to Word. First one admittedly was a long document (not best choice for a test I guess) and it did NOT convert - ran out of memory. So I tried a smaller document and it finished quickly. However, when I opened up the conversion Word document, it was not really a Word document at all - it was a set of images of the PDF in word file format. 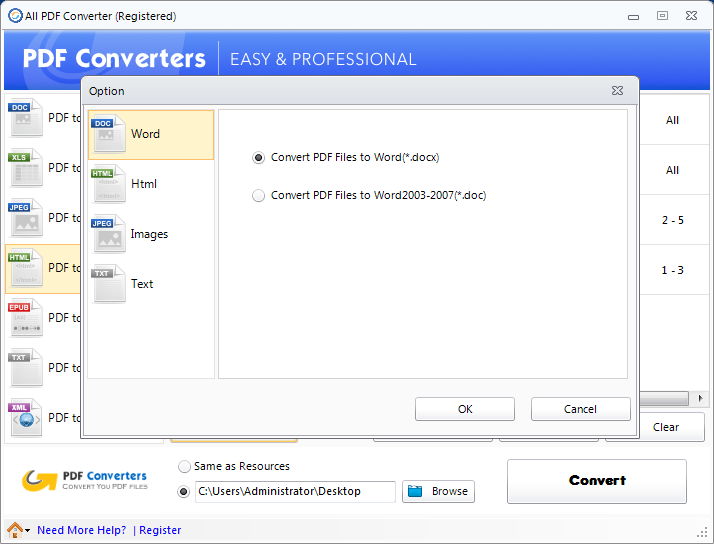 So if I can't actually EDIT any of the text as a word document, what good is being able to "convert" it? I thought I could convert to a functional word doc, not to page images in a word setting. If that's all it can do it's pretty useless to me. OK. so I installed and registered just fine. Tried out a couple of PDF conversions to Word. First one admittedly was a long document (not best choice for a test I guess) and it did NOT convert - ran out of memory. So I tried a smaller document and it finished quickly. 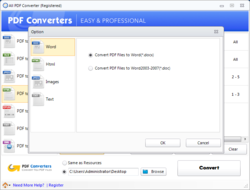 However, when I opened up the conversion Word document, it was not really a Word document at all - it was a set of images of the PDF in word file format. So if I can't actually EDIT any of the text as a word document, what good is being able to "convert" it? I thought I could convert to a functional word doc, not to page images in a word setting. If that's all it can do it's pretty useless to me. The Registration License Number provided in the installation instructions does not work. D Watkins, Dear, you should use the email: giveaway@giveawayoftheday.com instead of yours. Thank you for using our software. First: Error 2503. Called RunScript when not marked in progress. Second:Error 2502. Called InstallFinalize when no install in progress. Finalizing, but the software is not ready to running. The icon does not appear. László Máriáss, Hi, you can tried to install by right-clicking the .exe and selecting "Run as administrator." Monica Henry, Did you use the Email giveaway@giveawayoftheday.com to register the software? Ian, Dear, you should use the Email: giveaway@giveawayoftheday.com to register the software. I entered the registration code that was included with the download and it says that I have entered an invalid email address or code. BOTH were entered correctly. I need a good code please. mcleod55, Did you use the Email giveaway@giveawayoftheday.com to register the software? Oneiros, Dear, Thank you so much! :-) We accept all kinds of suggestions, we will make every effort to improve the product. Popcorn, we get a lifelong licence, but may not update not transfer the software to another computer. With a full licence you may update and transfer. Roland The idea of PDF is that it cannot be messed about with, Adobe were right not wrong in ensuring this.